Organizations invest a lot of money, time, and energy in Agile. Arguably we’re decades into the Agile game. We should be pretty good with this Agile stuff by now. So why are we not consistently seeing good results? Why do some Agile initiatives fizzle out? Why do some organizations abandon Agile in favor of the next big fad? In other words, why are we not seeing the bang for the buck? Maybe it’s because we are so caught up in Agile as a idea that we don’t focus our investments on the relevant parts of Agile that matter most. Agile ain’t cheap. So why invest in those parts that don’t matter? The trick is to identify which do. 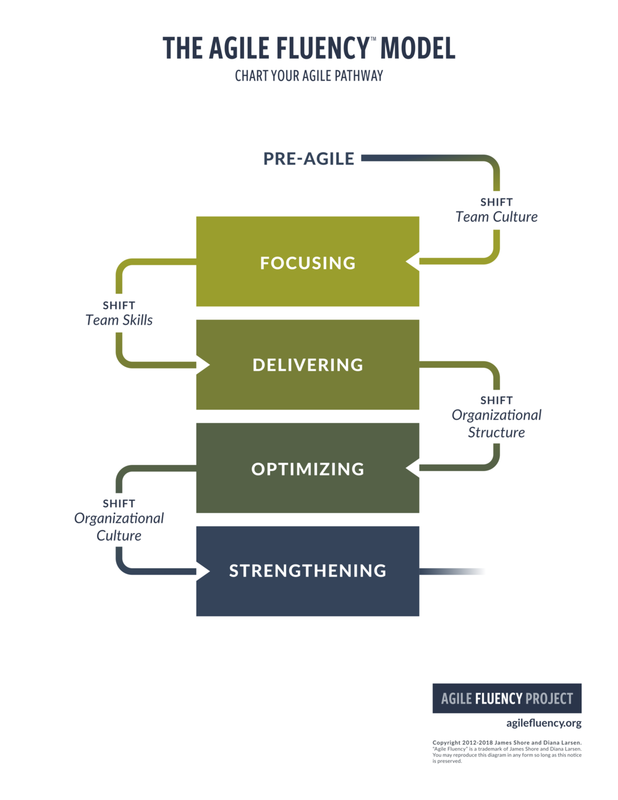 Agile practices and how they are employed can support many outcomes. That said, some practices are better at supporting specific outcomes than others. For example, a shared team space tends to support the outcome of "we're all on the same team" better than the agile practice of automated testing. It's not that automated testing is a bad thing, it's just that it is not as effective in driving a one-team mindset. On the other hand, automated testing might be generally more effective at driving quality than a shared team space. (Shared team space can go a long way towards improving quality, but it's not as targeted as automated testing.) What I am driving at is that some Agile practices might matter more than others when you consider the context of the outcomes you wish to achieve. Perhaps even more confusing is that the outcome that matters most to the organization might not be the outcome that matters most to a specific team. For example, the organization might choose improving quality as a goal, but an individual team might choose faster delivery due to a specific market opportunity. You see, context matters. Only when there is an inappropriate misalignment of goals or execution between organization and the team is there dysfunction. So how do you consider context? Well, first step is to establish a meaningful organizational strategic improvement goal. A meaningful goal should address the greatest opportunity or risk that the organization faces. How do your re-align if there is inappropriate misalignment? First, make sure that the misalignment is a problem. Organizational goals and team goals might be justifiably different. Also, the initial goal may be an invalid hypothesis. The key is to establish clear goals, execute, and then assess the impact. Check to see if you achieved the outcome that you wished. Were there unexpected and undesirable outcomes? Inspecting the outcome and adjusting course by revising the hypothesis is a basic tenet of Agile. By focusing on the Agile practices that fit best with the outcomes that matter most we get better results. Better targeted investments generate better returns. Given that time, money, and capacity are limited, it's wise to be a good Agile investor. What is your agile aspiration?